Here’s a page dedicated to accessing the search function for this blog site and other tools and links available here at Noisy Waters Northwest, all of which should appear on the sidebar or lower section of this page, depending on your device! Search on Authors, Titles, or Subjects. You can also find articles related to particular topics and categories by accessing either the Tag Cloud or Category links also provided here on this page. 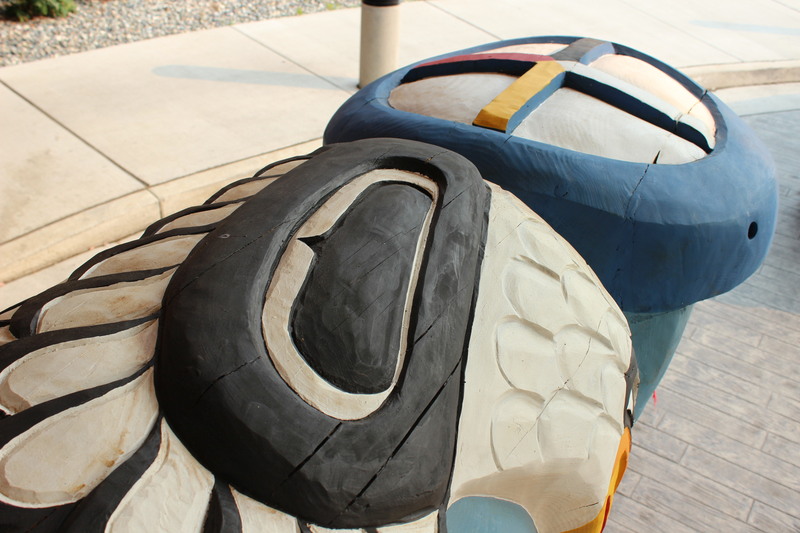 Detail of the top of the Totem Pole created by the House of Tears Carvers of Lummi Nation for the 2015 Totem Pole Journey that traveled along the same rail route that could carry coal and oil to the Salish Sea should west coast terminals be approved.